Fast-drying, rubber modified bituminous priming solution designed to seal and prepare surfaces for the application of roofing and waterproofing systems, in particular self-adhesive membranes. Drying time approximately 1 hour depending on the substrate and the weather conditions. May be applied to many substrates including concrete, wood, brickwork, metal and old bitumen layers. 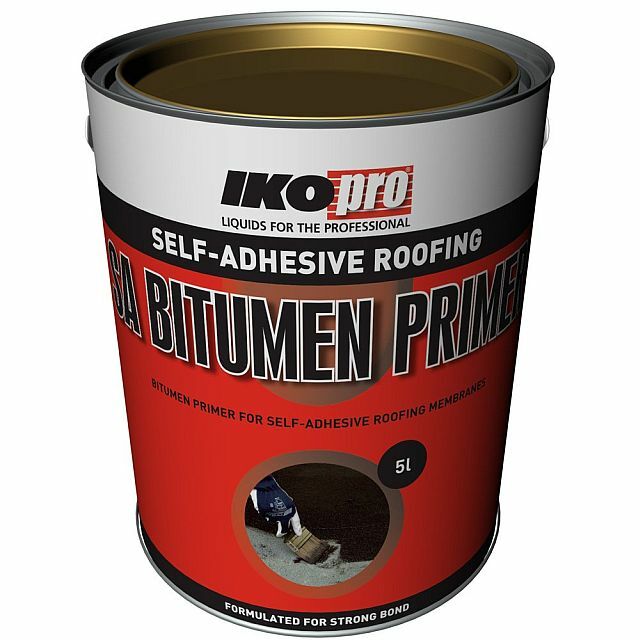 For use with bitumen membranes and liquid IKOpro maintenance products. The product information below is from the NBS Plus library of product clauses offered in NBS specification products. It has been created by NBS for IKO PLC. Each product clause is authored in NBS format and is intended for inclusion in project specifications. Please note that NBS product guidance is not a replacement for the manufacturer's literature and it is recommended that IKO PLC be consulted before specifying.